Given the sheer number of emails we receive daily, great subject lines are no longer enough to capture attention in the inbox. Utilize your data to create a personalized delivery time of every email you send from both HubSpot Sales and HubSpot Marketing. This integration requires both Seventh Sense and HubSpot. Learn more. Email fatigue occurs when the volume of emails received is greater than the desire to engage. 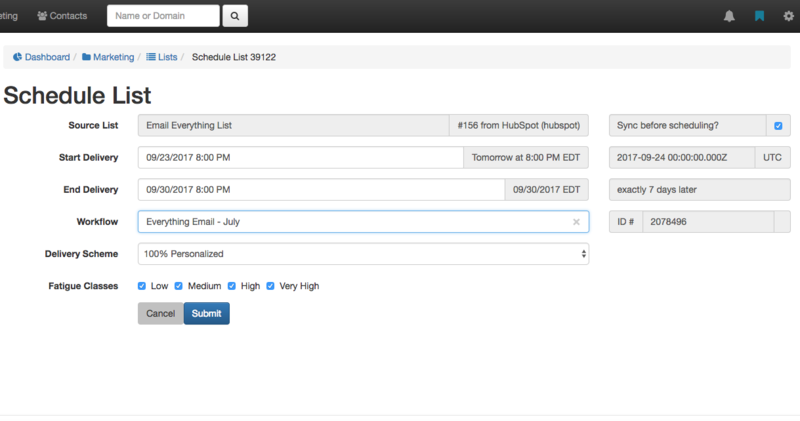 Use your HubSpot engagement data to automatically increase or decrease your sending frequency at the individual level. Email Service Providers are waging war against an ever-increasing tide of SPAM. The amount of mail you send, whether they are engaged with, and your overall reputation as a sender all factor into whether your recipient even sees your mail. By optimizing for attention and deliverability, you ensure that your emails are making it to the inbox vs. the SPAM folder. This integration helps to decrease email fatigue and improve deliverability.